Bamboo-wood teawares refer to those made of bamboo and wood. Bamboo teawares are often supplementary ones, such as bamboo tongs, ladles, tea boxes, tea sieves and stoves. Wood teawares are often used as containers, such as bowls, shelves and rinsing boxes. 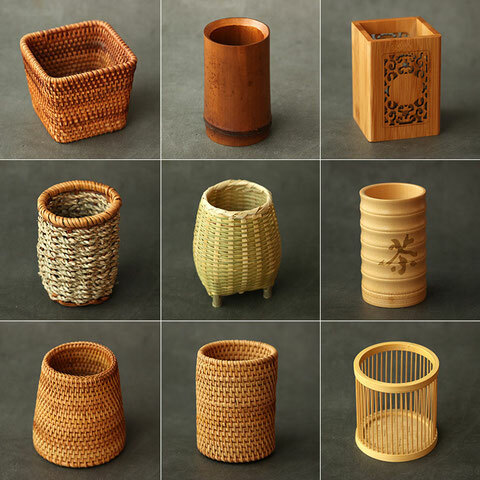 Bamboo and wood teawares are handy and practical with common materials and easy processing. Therefore, they are mostly used by ordinary people. 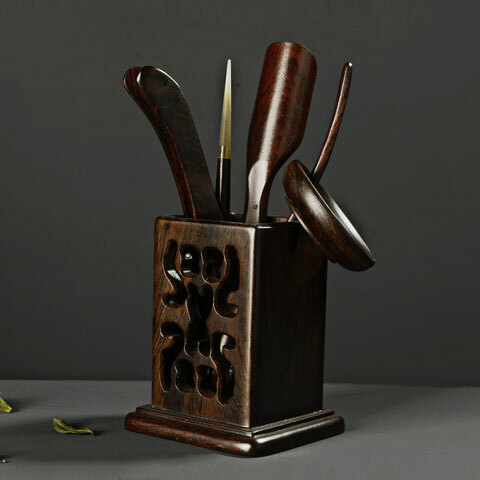 However, some delicately carved teawares could also be found in big official’s home and rich families. The mid stage of the Tang Dynasty began to see bamboo and wood teawares. 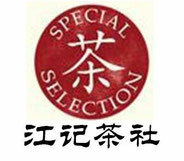 Lu Yu alone recorded a dozen of the bamboo and wood teawares in The Classic of Tea. 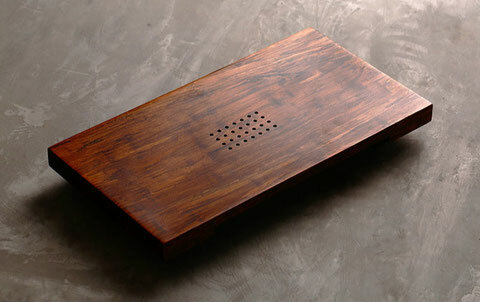 Such teawares in the Song Dynasty mostly followed the features of Tang and developed a wood box to store tea. In the Ming and the Qing Dynasties, bulk tea became popular. Thus bamboo and wood teawares decreased in variety but developed better skills. Many masterpieces passed down, such as bamboo stoves, shelves, cages in the Ming Dynasty and ebony tea box with tin base in the Qing Dynasty. In modern and contemporary times, bamboo and wood teawares still have an important place in many minority areas, such as bamboo tea tube and cup of the Hani and Dai minorities; wooded tea bowl and hammer of the Tibetan and Mongolian minorities; fresh coarse bamboo tea tube to boil water of Bulang minority, etc. 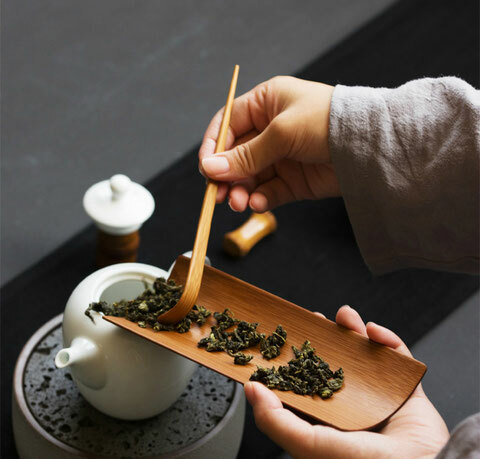 Try to avoid a sudden change of temperature when using bamboo and wood teawares, for they may crack due to a rapid change in temperature, especially bamboo ones. Do not store them in a very dry place for a long time because bamboo and wood can deform or break. Also, try to avoid direct sunshine.